This is the textbook from which I taught this semester. I'm not sure if I've slowly become inured to...hmm, shall I say less delightful reading material...over the years, but I feel this far surpasses the one to which I was subjected as a freshman in terms of engagement and interest. Many of the included essays are quite fascinating (though I'm sure some of my students would agree to disagree). Pretty decent textbook, especially compared to the one I'm mandated to use now. 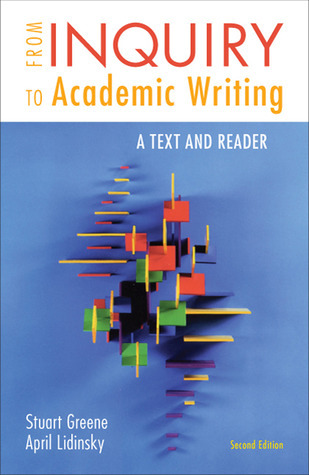 Provides a lot of charts and prescriptive writing tips that students will appreciate, and the essays in the reader are on varying topics, which adds to the text's versatility. Excellent selection of essays, and some very useful writing aid/helps.